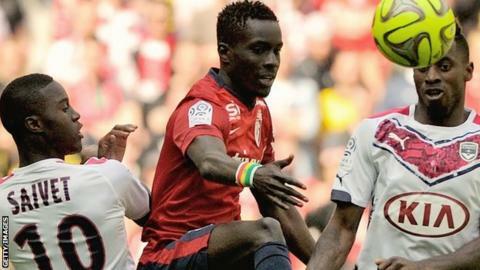 Aston Villa have signed Lille midfielder Idrissa Gueye for an undisclosed fee. The Senegal international, 25, has signed a four-year contract. Gueye has made 134 appearances for Ligue 1 side Lille and been capped 18 times by his country. "He's been one of the best young midfielders in France for the last few seasons. A lot of clubs were trying to sign him," said Villa boss Tim Sherwood. "I believe we are signing a player who is hungry to succeed, is entering what should be his best years and is perfectly suited to the Premier League." Last month Villa signed midfielder Scott Sinclair, 26, from Manchester City and defender Micah Richards, also from Manchester City.